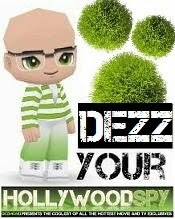 Although the main news today is that CBS is preparing new Star Trek series which will bring back Patrick Stewart as Jean Luc Picard, the spy will entertain you this Sunday with some snowy fun to freshen up your scorching summer! 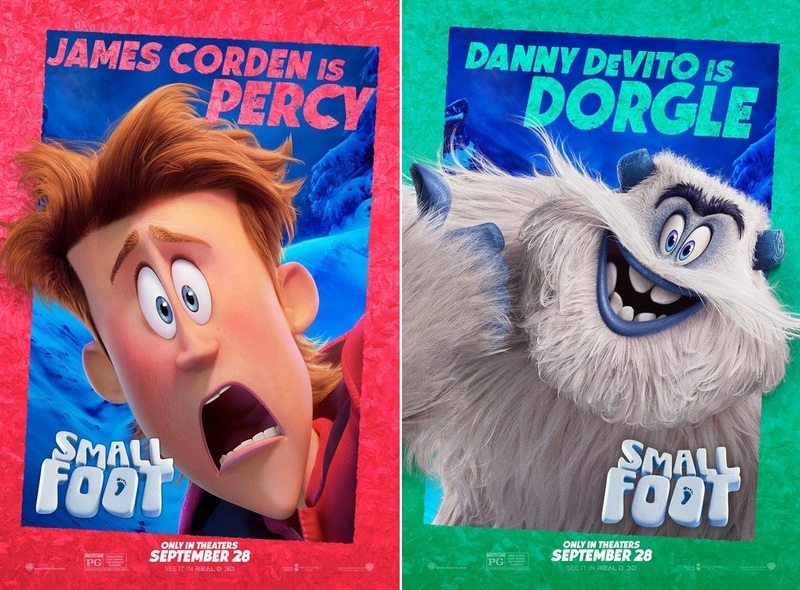 New animated adventure SMALLFOOT was originally slated for release in February but was then pushed later on into Autumn 2018, opening in cinemas in North America this September and Europe next October! Migo (Channing Tatum) who is convinced that the elusive creatures known as "humans" really do exist. When he finds one, news of this SMALLFOOT throws the simple yeti community into an uproar over what else might be out there in the big world beyond their snowy village, in an all new story about friendship, courage and the joy of discovery. MEET THE REST OF THE CAST! 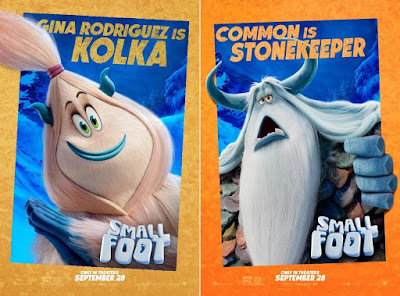 Rodriguez as Kolka (a Yeti science nerd who likes to study Smallfoot artefacts), Danny DeVito as Dorgle (Migo's simple and loving father, village gong ringer), who are all yetis! Sounds cute entertainement for the whole family! I've always heard of Bigfoot and humans looking for him. 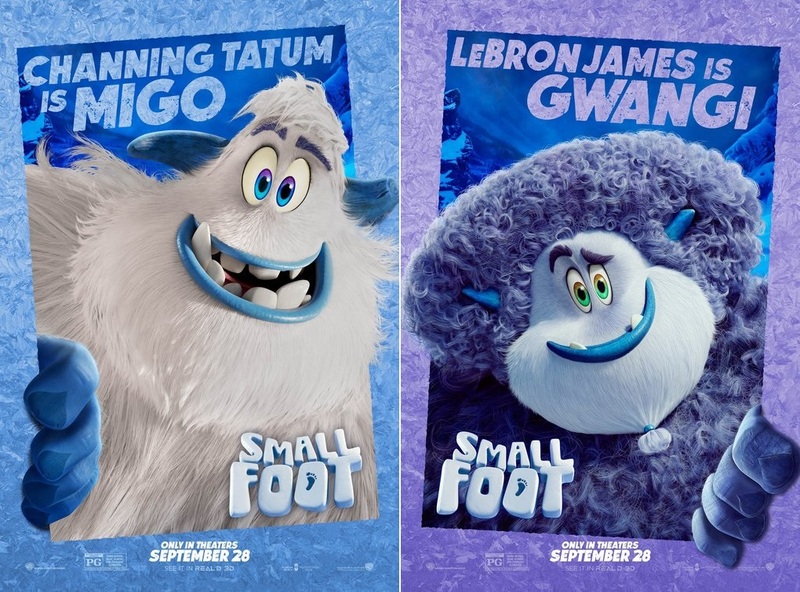 Now, this Yeti , a similar creature is doing the opposite, looking for smalfoot, that is, humans. 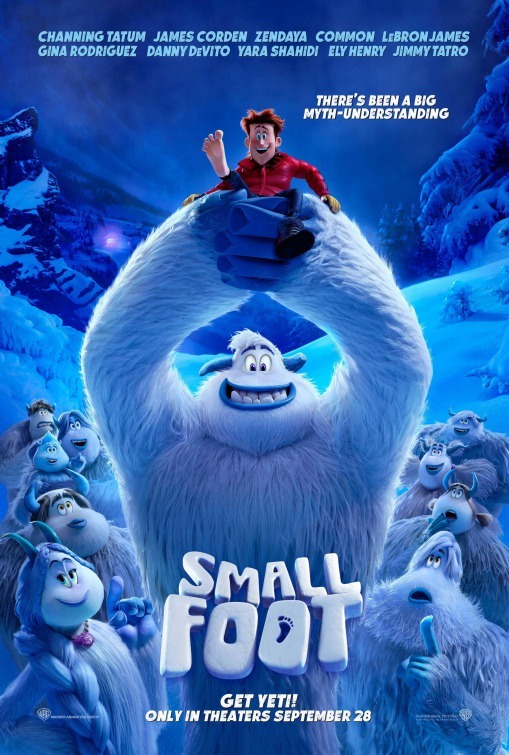 De Vito is indeed a 'smallfoot'- as he's of relatively short stature, but his comic acting is usually bigfoot. Did you notice that most of the film is blue? This looks so delightful! 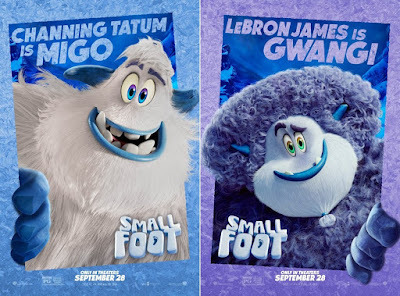 Even though I'm not a snow fan, I can get behind it if animation is involved.